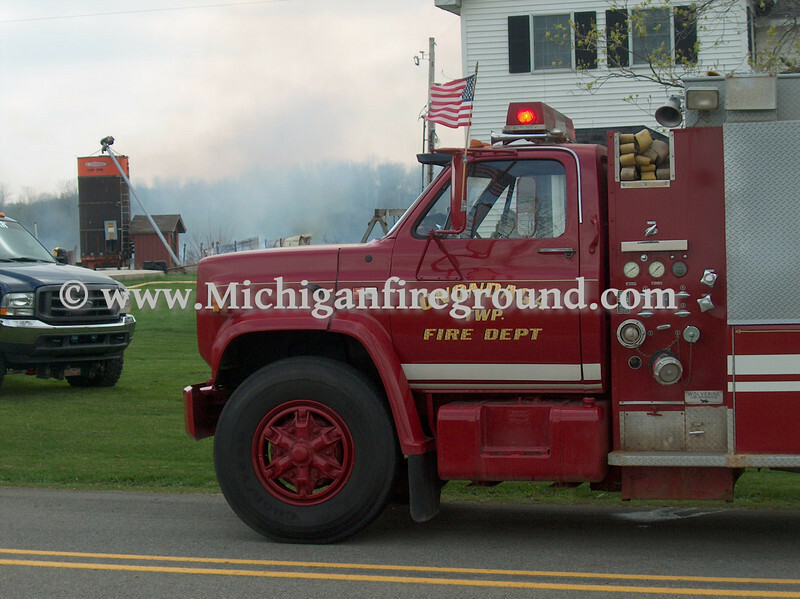 On Saturday morning, April 26, 2008, the Eaton Rapids Township Fire Department was dispatched to a reported barn fire at 921 Gale Rd. Due to the dispatch information, mutual aid was immediately requested from the Eaton Rapids and Onondaga fire departments for tankers and manpower. Eaton Rapids City firefighters were first to arrive on the scene of a long single story wood barn structure that was 100% involved in fire. As attack lines were being laid out, command made contact with the homeowner and it was decided to just keep the fire from spreading and let the fire burn itself down. Once the wood portions of the barn were consumed, firefighters began overhauling and extinguishing hot spots.